I don’t know about you but I don’t often think of UK road trips as a ‘thing’. When I think of road trips I tend to think of road trips like our American road trip, the Australian road trip and countries where you can ride the same road for miles and miles and spot wildlife like bears, elks and kangaroos. Driving along the M4 or the M6 back home in the UK doesn’t quite conjure up the same feelings of adventure does it? This little island shouldn’t be forgotten about though as when it comes to road trips. There’s are some UK road trips that just shouldn’t be missed. And one benefit of being a small island is that you’re never too far away from civilisation in the form of a tasty meal or a petrol station when you need one. 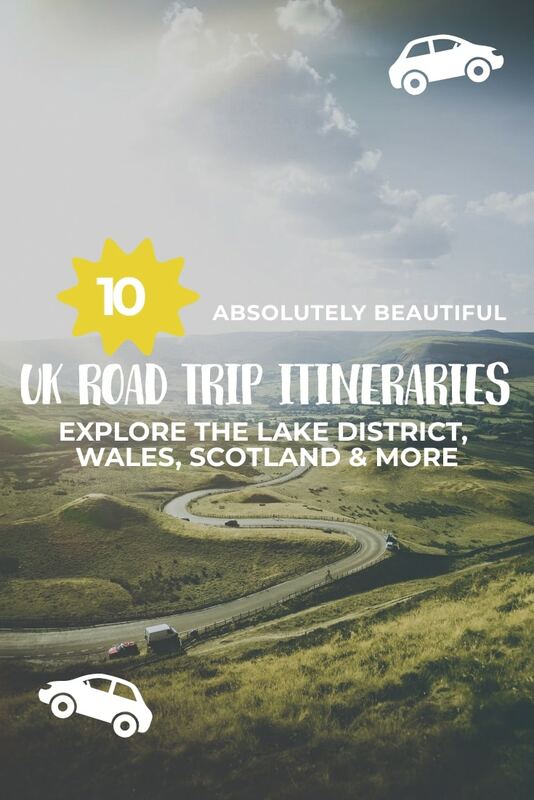 Put on those hiking boots, pack up your car and prepare your road trip playlist, you’re going to want to do these fantastic UK road trips. Take a look at this itinerary for a weekend in the Lake District for more ideas. The Lake District’s hills and valleys are epic rain or shine. 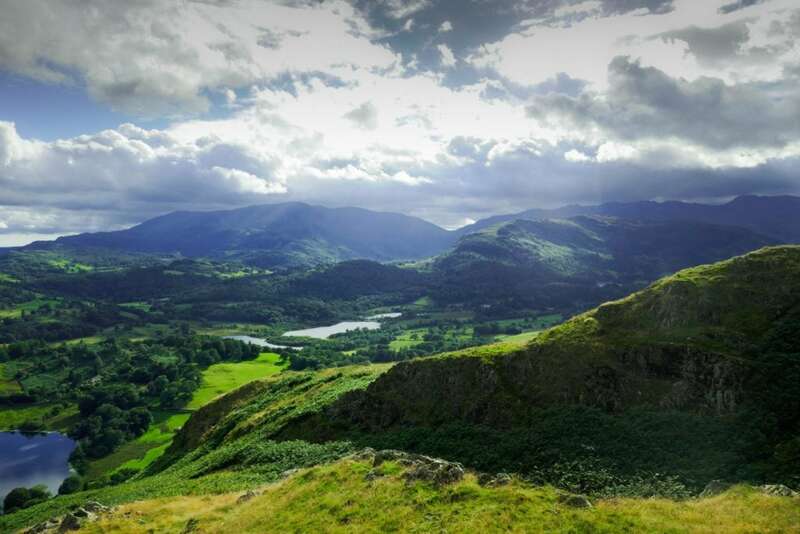 Driving on the A1M and A66 to Barnard Castles takes you through luscious moorland and continue on through the steep Kirkstone Pass, locally referred to as “The Struggle”, and you’ll come in to Ambleside. Ambleside is full of cute cottages on the banks of Lake Windermere. 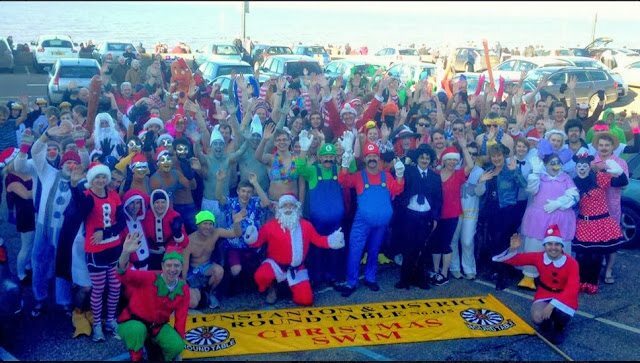 In the summer it can get pretty busy so plan your road trip slightly out of season and you’ll avoid traffic jams. You couldn’t possible go to the Lake District without getting out and taking a walk. A walk around Lake Windermere, on the far side of the town, is beautiful and free of cars. Park your MOKKA X up just south of Bowness and take the ferry as a foot passenger for less than £1 across the lake for some beautiful views. The Peak District was the UK’s first National Park, being given the title back in 1951. It spans the counties of Derbyshire, Cheshire, Greater Manchester, Staffordshire and Yorkshire which gives you an idea of just how big it is. A lot of the Peak District is great for stunning UK road trips but Snake Pass is particularly worth driving. Located in the Derbyshire section of the Peak District, Snake Pass crosses the Pennines and Ladybower Reservoir. Expect plenty of snug corners as the tarmac twists and turns in this beautiful National Park for around 42 miles! Take a road trip across the “roof of England” on the A686 and pass from Cumbria’s Penrith right over to Northumberland’s Haydon Bridge. As you cross the Pennines you’ll be wowed by the dramatic scenery and landscapes that you’d never thought possible in the UK. You’ll want to pull over your car and get out your camera a lot on this road trip. When you reach the end of the road, why not get out and take a hike along Hadrian’s Wall and seek out a bothy for the night? In the heart of the West Country, around 10 miles south-west of Bristol, is Cheddar Gorge. The scenery here is particularly unusual as it appears as though the earth as opened up, revealing deep limestone cliffs. Watch out for farm vehicles, and perhaps the odd farm animal too, as you manoeuvre your way through the gorge. 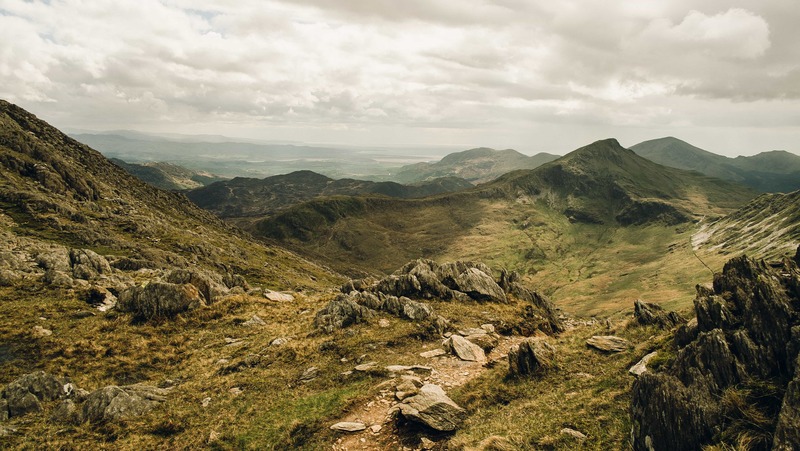 Snowdonia is the ideal place for adventurers. 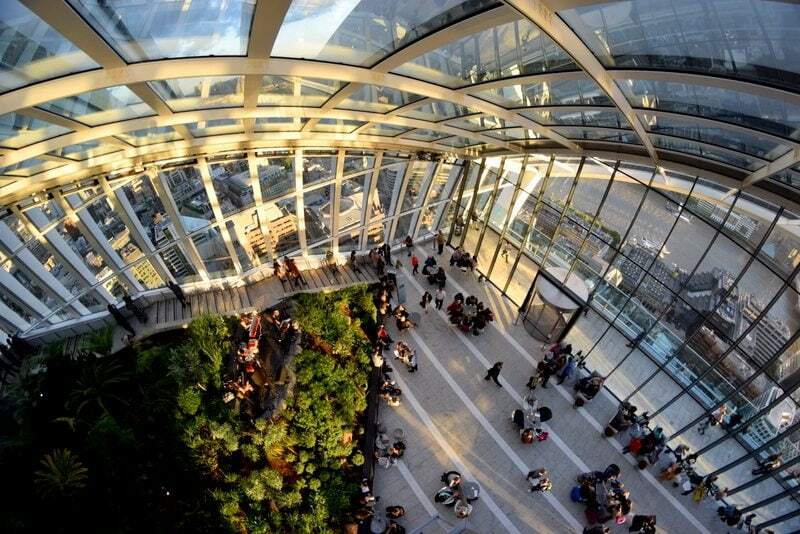 From indoor trampolines to caving, hiking and mountain biking. Plus, there’s plenty of dirt road tracks where you can get your 4×4 muddy. 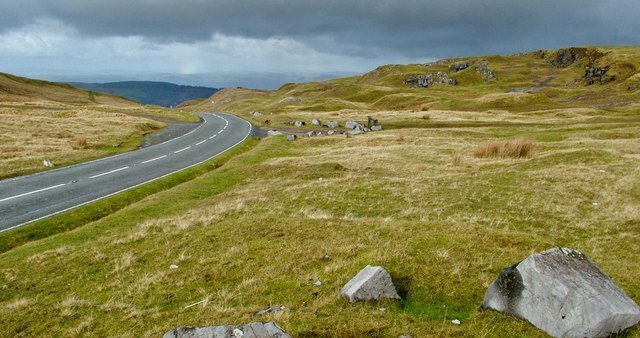 One great drive in Snowdonia is from Wrexham to Bala. The drive is around 29 miles long and you’ll start in Dolgellau, a small and picturesque market town. Drive the A494 switching to the A487 through Cader Idris which is Wales’ second highest mountain. The road towards Machnlleth twist through lush green valleys and you’ll have plenty a photo opp of Tal-y-Llyn lake. When you reach Machnlleth take the A489 to Cemmaes Road and then the A470 back towards Dolgellau before rejoining the A494 along Bala’s three mile long lake. Another great area for driving in Wales is in the Brecon Beacons. The Black Mountain Pass is a challenging road with beautiful views. The scenery is pretty hard to beat and if you love hairpin turns you’ll find plenty to get excited about on this road! I couldn’t possibly write about UK road trips without mentioning the Scottish Highlands. The Highlands are one of the last areas of the UK where you truly get open roads. 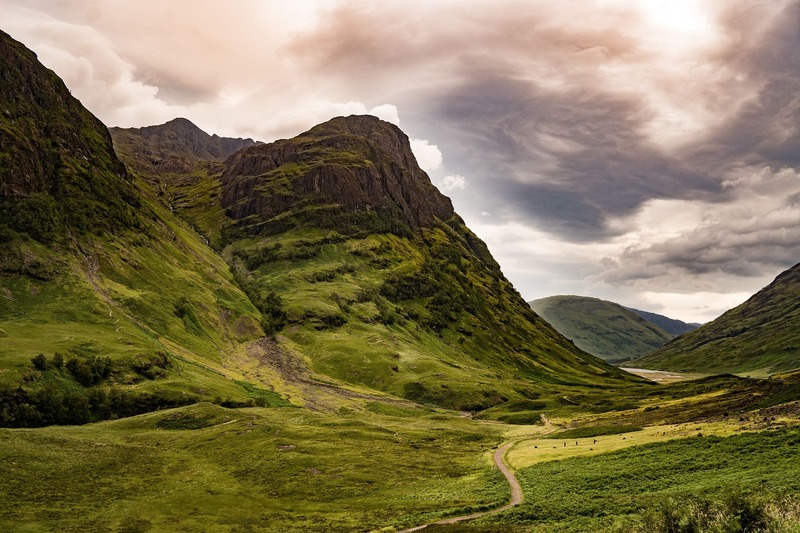 You’ll be surrounded by soaring mountains, icy lochs and free roaming cows. Head up north from either Edinburgh or Glasgow and you’ll soon hit the open road. For even more incredible drives cross on over to the Isle of Skye. The small island can be explored by car in a day or two and you’ll want the 4×4 capabilities of the MOKKA X if you’re exploring in winter. You’ll probably come across some snow or ice! 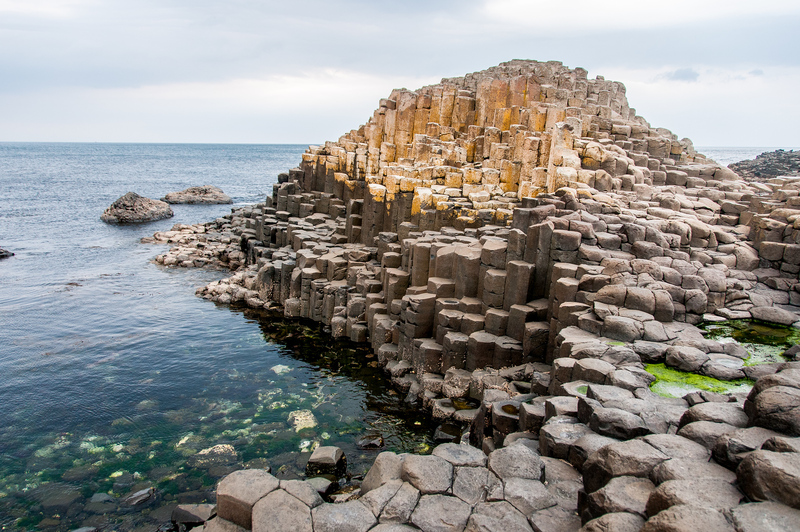 Northern Ireland is home to one of the best UK road trips thanks to the out-of-this-world Giant’s Causeway. The result of an ancient volcanic eruption, The Giant’s Causeway is an area of about 40,000 connecting basalt columns. You’ll love hopping from column to column. Once you’re done, hop back in the MOKKA X, turn on the heated seats to warm up and head off down the coast for some kayaking or coasteering. Ireland is full of adventures! 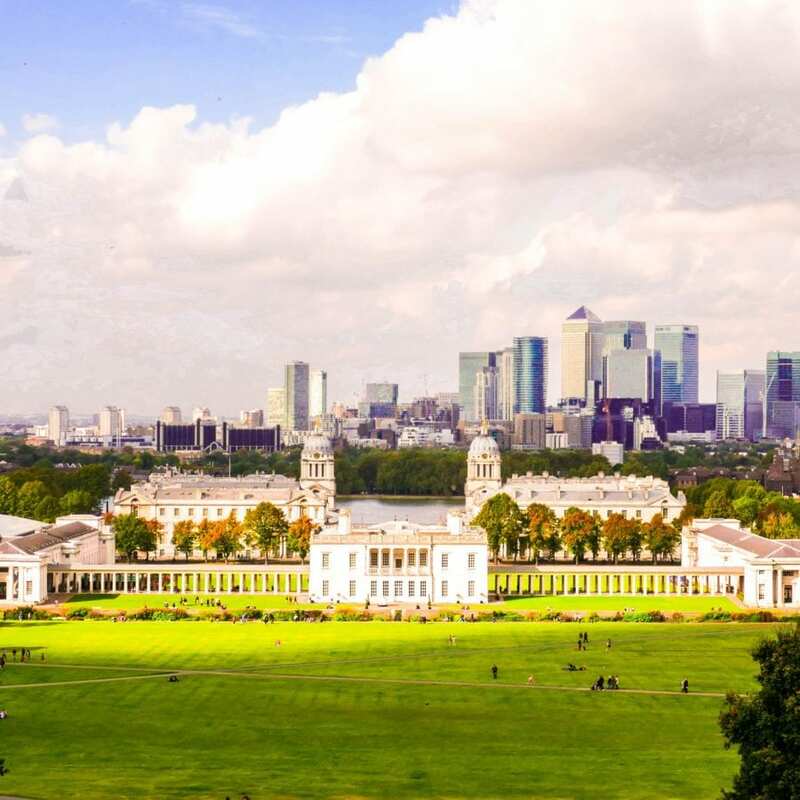 The UK’s South East has some fantastic sights to take in. My favourite drive would be to follow the coast from Padstow all the way to Land’s End. This is best done over the course of a few days. Make sure to stop off and admire the beaches. Or perhaps take a surfing lesson in Newquay where there are surf schools, and waves, a plenty! Head north out of London and up towards Norfolk as I did on my very own UK road trip in the Vauxhall MOKKA X. 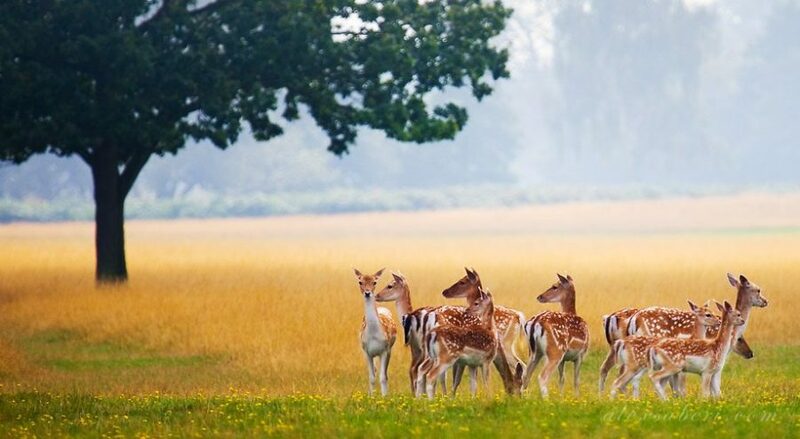 Stop off at the 4×4 track in Suffolk where you can take your own car onto the track; get that windswept look whilst exploring the beaches of North Norfolk from Old Hunstanton to Holt and Wells; go canoeing on the rivers of Norwich or explore the grounds of Sandringham, the Royals’ summer home. 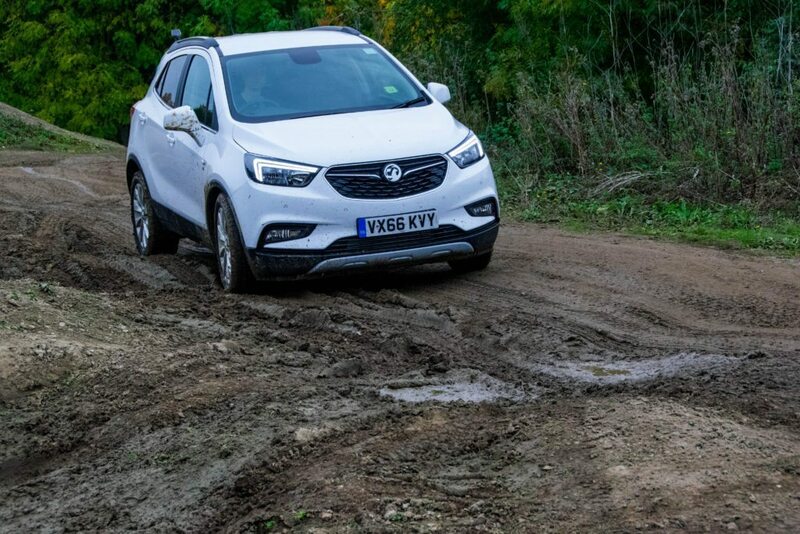 The new Vauxhall MOKKA X is perfect for any adventure. With its 4×4 capabilities you’ll never be caught out when taking a turn down a dirt track, nor will you find yourself stuck after mis-timing the tides along the coast. It’s big enough for all the gear you need for hiking, kayaking, camping and more and it looks pretty great too. Wow, some truly spectacular destinations to visit. 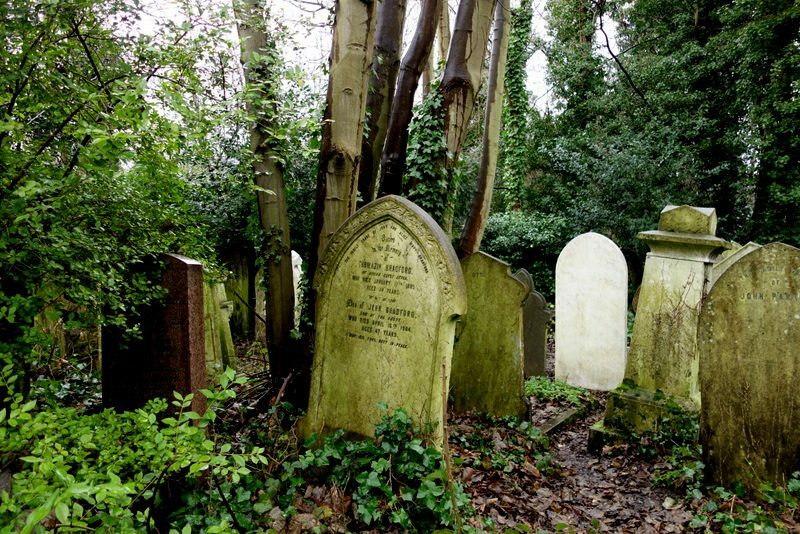 There’s so many gorgeous, natural spots to visit in the UK. Thanks for sharing your favourite locations. They are all very picture-perfect!